The Bridge - Immigration News Blog: House Hunters Havana? “Architects have coined the term ‘miraculous stasis’ to explain why some buildings have not yet fallen down,” according to the Havana Times. Some estimates say 40-percent of homes are in “fair or poor condition,” while others put the share in that state at 70-percent. Further exacerbating the problem in Havana is the arrival every year of thousands of residents from other provinces who squat in unstable buildings or set up shantytowns on the city’s outskirts, reversing the revolution’s efforts in its early years of dismantling and eliminating such dwellings while resettling families in houses of Cubans who fled or in new tenement buildings put up by construction brigades. While new government housing construction is on the decline, the administration of President Raul Castro has responded to the crisis by legalizing the real estate market and sale of materials, turning over unused warehouse and retail space for housing, and enacting construction subsidies for Cubans who otherwise lack funds to build or repair homes. But it has not been able to keep up with needed home construction, nor is there a building materials industry that can satisfy residents’ demands. This is where U.S. companies like Home Depot and Lowes could enter the picture – if they are not beaten to it by companies from other countries. However, Cuban television did broadcast a repair show in 2011, called, “With your own hands: How to build and repair your home” – in Spanish, “Con tus propias manos: Como construir y mantener tu vivienda” – the Havana Times reported. Plenty of competitors are likely lining up for this growing market, by the language of this report prepared by the Canadian government. But the most important question in all of this is not who is going to make big bucks on Cuba’s housing crisis or other crises – questions that seem to dominate U.S. news coverage of Cuba these days – but rather, how this is going to play out for Cuban residents. 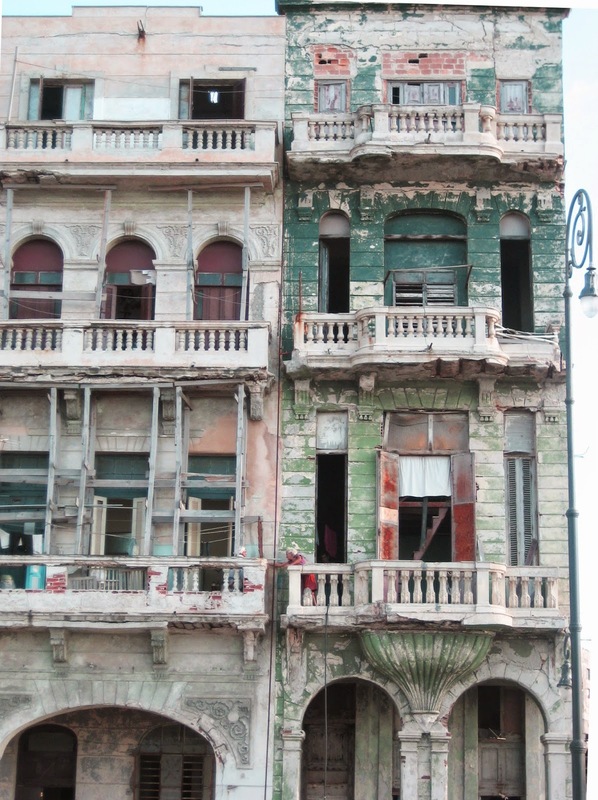 Even if building materials flooded the Cuban market tomorrow, there is still the issue of how Cubans would pay for them in many instances and how these home repairs might further exacerbate growing inequalities. Even with the subsidies and new grants and loans the Cuban government is allocating to the neediest, many can’t afford the high prices being set by speculators on the real estate market for new purchases or for materials marked up by a new crop of resellers, according to scholar Armando Chaguaceda. There’s also the predicament of residents residing in tenement housing like Alamar, east of Havana, one of the products of the earlier construction brigades. Chaguaceda points out that those types of homes are difficult to repair with individual effort alone. He suggests “alternative models” to cut through both bureaucratic inefficiencies and market speculation, including building and administrative cooperatives, and savings and loans. Housing already is a key factor widening the growing gap between the “haves” and “have-nots.” Regardless of education level, those who have access to foreign currency – through family remittances or jobs in the tourism sector – have been doing better than those getting by on state salaries since the economic crisis of the 1990s and the collapse of the Soviet Union. In some cases, that includes engineers, lawyers and doctors. One of the most popular new forms of private enterprise or cuenta propia is running a home-based restaurant, a paladar — or a bed-and-breakfast, a casa particular – for tourists. But it’s difficult for residents to get the license for these if their homes are in state of grave disrepair. And without access to the funds to fix up their homes or to buy another, they are locked out of an important source of potential income in the tourism sector – creating a vicious cycle. Money-making aside, many Cubans just need a safe and comfortable place to live. Until there are more changes within and outside the country, many – particularly in the capital – will continue their own dire version of house hunting in Havana.